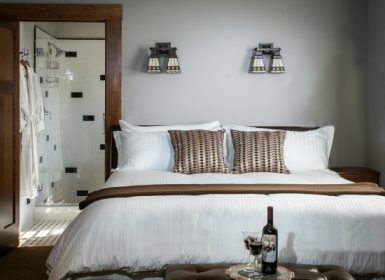 The Craftsman Inn or the Calistoga Wine Way Inn are the perfect accommodations for one of the premier events of Napa Valley. Join us in May for the ultimate wine and music experience! BottleRock is host to some of the best bands around. Previous lineups have included Maroon 5, Foo Fighters, Stevie Wonder, Florence + The Machine and Red Hot Chili Peppers, just to name a few from the last couple years. Stay tuned for the 2018 lineup to be announced on January 8th! You’ll be amazed at the incredible variety of wines from some of the most renowned wine producers in the world. In the mood for a crisp sauvignon blanc, a delicious chardonnays, a luscious pinot noir or a blockbuster cabernet? BottleRock offers the best wines of the region. The on-site staff of wine experts and sommeliers can help you make the best choice. Cheers! 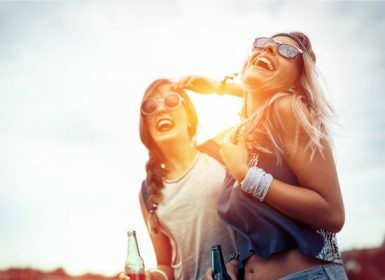 You may have heard the saying “It takes a lot of good beer to make a great wine!” BottleRock goes to great lengths to make sure there are plenty of premium brews to be enjoyed with the tasty food offerings. 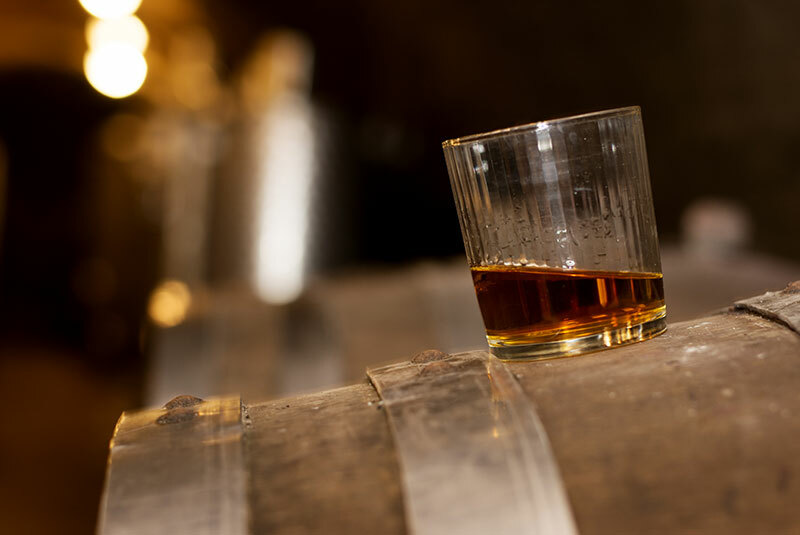 In addition to amazing wine and craft beer, BottleRock offers a selection of bourbon that will satisfy any connoisseur’s craving. Order it neat, on the rocks, or mixed into a Manhattan from a collection of classic bourbons from across the US. The BottleRock menu is reflective of the vibrant culinary scene of Napa, an area that features more Michelin stars per capita than any other wine region on the globe. 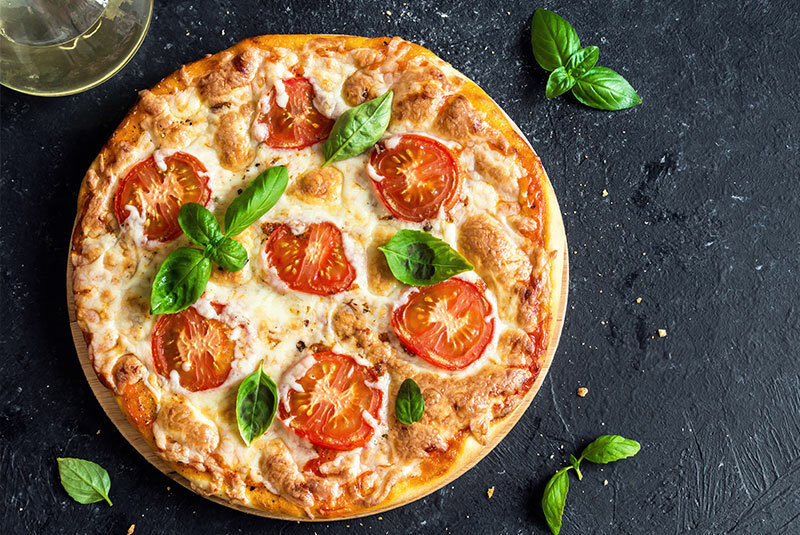 Many of the area’s finest chefs and restaurateurs will offer choices that can be perfectly paired with your favorite glass of wine or craft brew. Be sure to check out the Culinary Stage where you can check out tasty mashups of your favorite artists and our famous chefs. Lineup will be announced January 8, 2018. Tickets go on sale January 9, 2018. Stay tuned for details – they go fast! Grab your tickets before they’re gone! 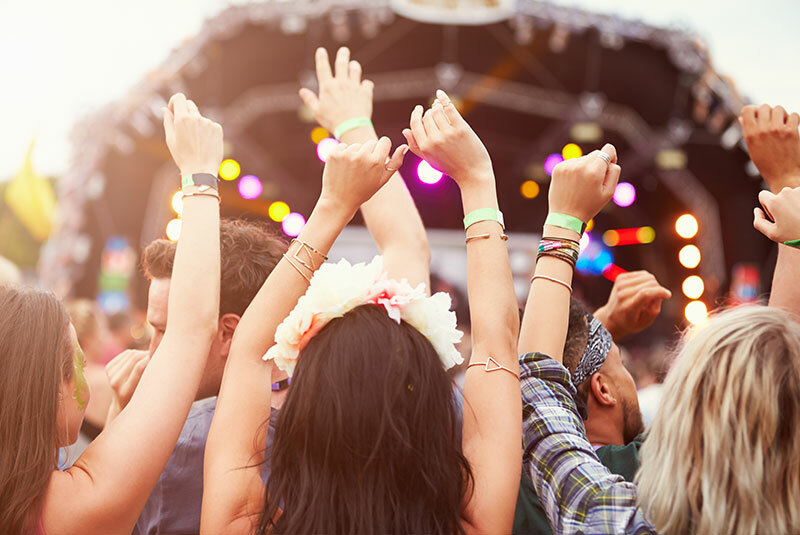 Be sure to book a stay at one of our luxurious Napa Valley inns so you have a comfortable place to stay after all the music, dancing, food and wine. Have you ever wondered what Napa Valley is like? 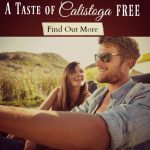 We know it’s hard to imagine a place you have never been to, but let us paint you a picture of our favorite California town and give you a feel for summer near our Calistoga inns. Let us tell you about this fabulous place – it’s full of sun and full of fun! The California sunshine never forgets about Napa Valley. We enjoy hot sunny weather frequently. If a slow, relaxing vacation is what you’re in search of, Napa has a lot of wonderful options. You can spend hours lounging outside on our decks as you enjoy breakfast, or sip on some afternoon wine. Enjoy a good book, or just soak up the sun. However, if you’re in search of a getaway destination with a lot of life and tons of fun, Napa Valley has that too! 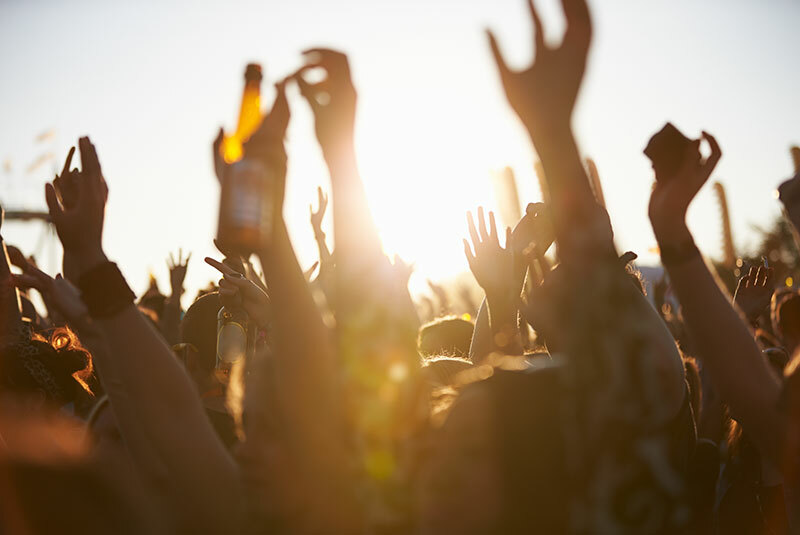 Napa is home of BottleRock, a music lover’s destination. It’s a huge annual summer event that draws a large crowd. 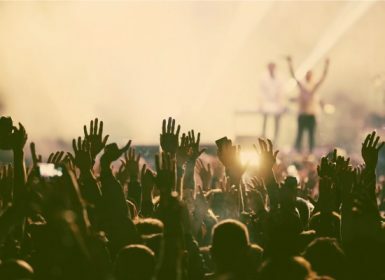 It’s more than a music event, it’s an experience! 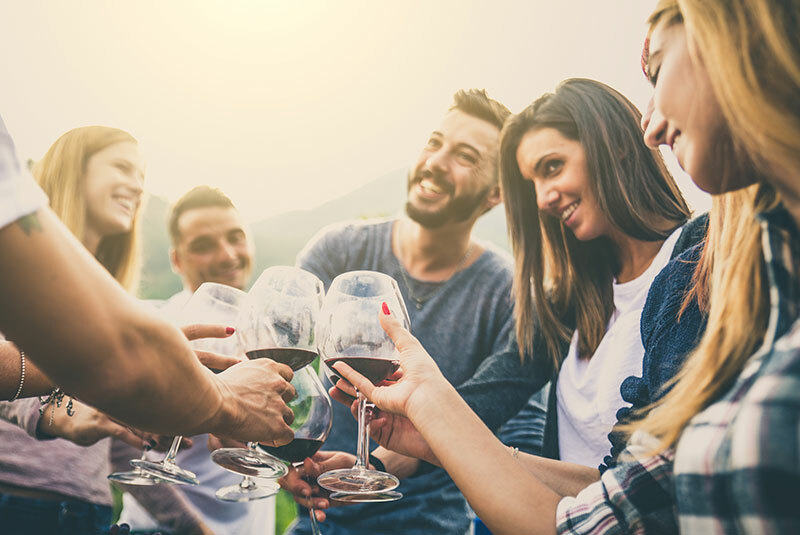 Locals and guests alike love to kick off the summer season with this event and enjoy music, wine, brews, and of course, plenty of food. It’s always a good time of singing, dancing, and just having a blast. Festival Napa Valley is another popular event that is held nearby our inns. In July, everyone enjoys a selection of Napa’s finest wine, music, dance, theater, and cuisine! There is never a shortage of fun events and ways to enjoy incredible food, music, and more in Napa Valley. Call your innkeepers, let them know when you’ll be coming, and let them recommend the best events for you. Call us as soon as you know when you’re coming so that we can guide you to the best events and give you time to purchase tickets in advance. If you’re looking for fun, sun, wine, or a place to celebrate, Napa Valley is your ticket to the best. 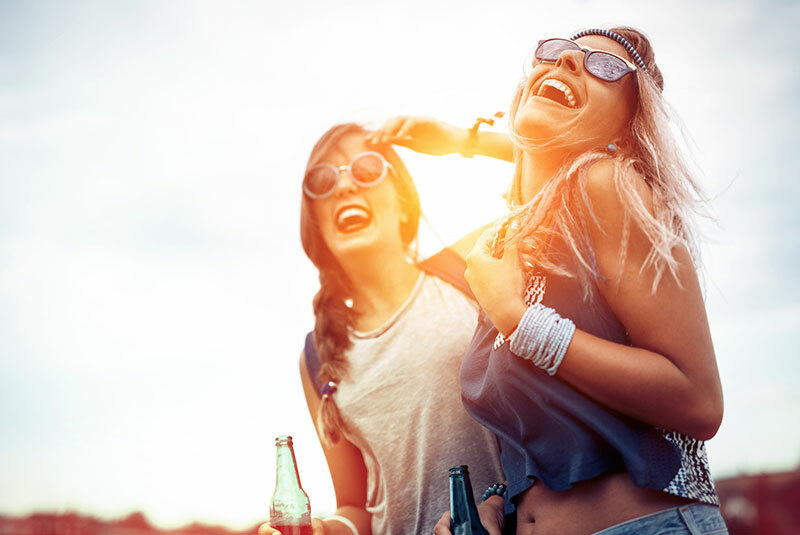 Book your favorite room today, and get ready to enjoy the hot California sun, the incredible wine and ways to relax, and the fun that never stops with events like BottleRock and Festival Napa Valley. 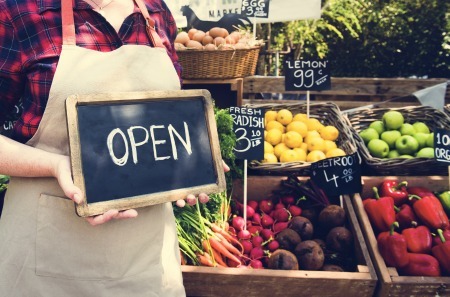 Not all farmer’s markets are created equal. 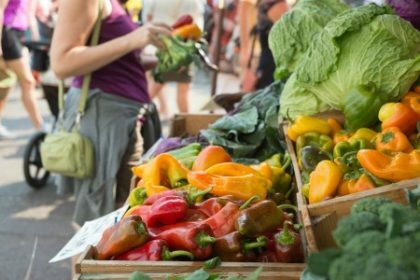 The Calistoga Farmer’s Market offers an exceptional experience, fabulous food, handmade products & live music on Saturday’s from 9:00 am – 1:00 pm. At our bed and breakfasts we handpick the best crops and produce from the farmer’s market and serve it up in our homemade gourmet breakfast creations to our guests each morning. 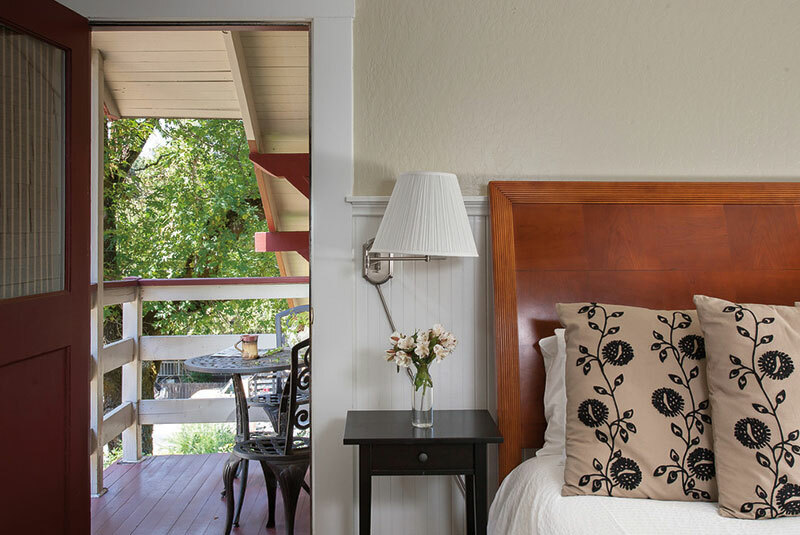 After enjoying your morning at our properties, guests are encouraged to embark on a short 8 minute stroll from our Calistoga bed and breakfasts and enjoy the fun of the quaint market. Chris Gertz brings his heirloom stone fruits and citrus. 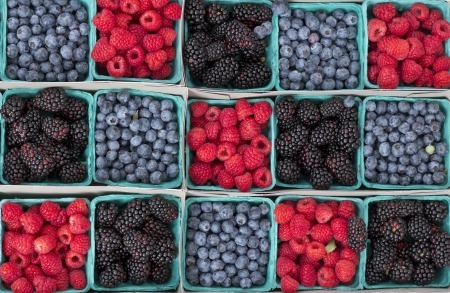 The Rodriguez family farms brings mouth watering organic berries. Who doesn’t love beautiful and fresh local flowers? Bee Haven pure honey is sa-weet. Hue de Laroque Far brings butters and jams that are out of this world. Have you ever tried a Merlot jam? Hurley Farms also produces jams, jellies, vinegar’s, has free-range eggs, fresh fruits and veggies. Holy Assumption Monastery brings baked goods, granola, candy and pies. Mill Street brings olives and olive oil. Pasta Poetry offers dry homemade pastas. 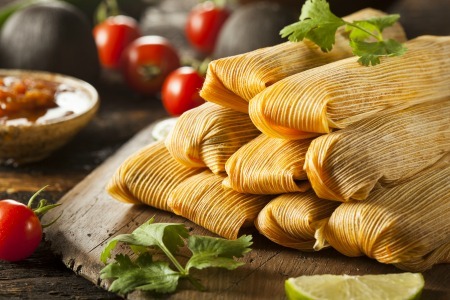 La Prima Tamales offer the perfect lunch. Far West Fungi has mushrooms, truffle products, specialty oils, pastas and sauces and more. Santa Rosa Seafood offers a smoked salmon you won’t forget! they have fresh fish, oysters, clams, tuna and more. Dacheva Son’s are incredible cheesemakers. 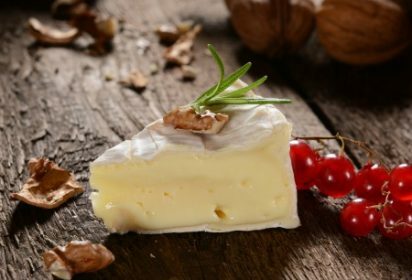 You might need some wine with it…and you have to try the Brie. Napa Valley Tea Company makes exceptionally curated unique & wonderful tea. The perfect mid-morning each Saturday is waiting for YOU. Book your getaway and enjoy the sun, great foods and the finer things in life. You deserve it. If you have spring fever there is no better time than now to plan a getaway in March or April. Below you will find some of our favorite places to experience great food, wine, music and more. Book your escape to our Calistoga inns and enjoy all that our slice of paradise has to offer this time of year. We are in love with the local flavors! Great food, even better wine and a backdrop that will knock your socks off. Check out some of our favorite places to tantalize your taste buds in the spring around Napa Valley. Flavor! Napa Valley – March 22nd – 26th. Book now while there is still time & get ready to enjoy this foodie lovers festival! Tank Garage Winery – this converted gas station makes for a quirky and fun winery. 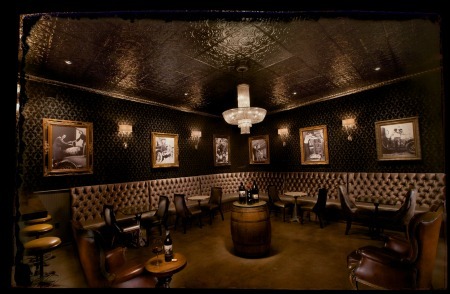 Enjoy a relaxed environment with some great wines. 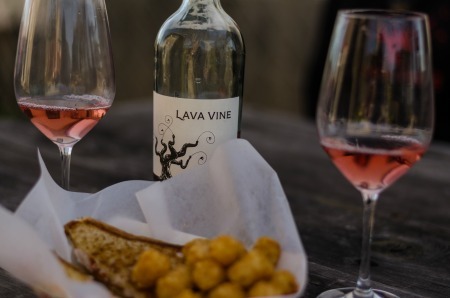 Lava Vine Winery – 30 years has been good to Lava Vine Winery! They have some exclusive cabs. Enjoy tastings, chocolates and wine & cheese pairings. French Laundry Restaurant – if you are one of the lucky few that are able to secure a reservation, you are in for a treat of a lifetime at this award winning restaurant. Take advantage of our NEW Wine & Dine Package that includes sampling some of our favorite local spots listed above. 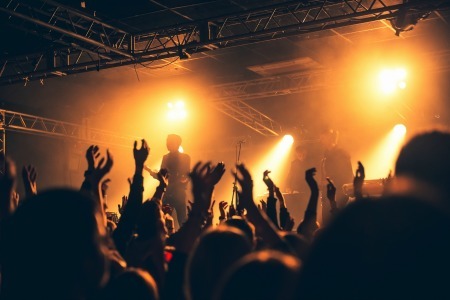 Who doesn’t enjoy a great concert or going to a musical or play? Uptown Theater, the Blue Note and the Lincoln Center ring in a slew of incredible acts. You can see that there is something for everyone! Click through to the different websites to see the comprehensive list of acts making their way into Napa this spring.